This training materials package supersedes the old FNS30315 Certificate III in Accounts Administration qualification. Get the latest FNS30317 Certificate III in Accounts Administration training resources and assessment tools from Australia’s leading learning resource developer! Get a complete FNS30317 Certificate III in Accounts Administration training and assessment resource kit so your RTO can deliver and assess this super popular FNS30317 Certificate III in Accounts Administration qualification! These FNS30317 Certificate III in Accounts Administration Learning & Assessment Resources have been designed so you can deliver critically needed, high-quality accounting & bookkeeping training to your students. These training materials are designed for the latest FNS30317 qualification released February 14, 2018. This training resource package is in development now and will be available for delivery shortly. Pre-order your materials now to get special discounted pricing! RTOs that have the FNS30315 Certificate III in Accounts Administration qualification have NOT been automatically granted scope for the new FNS30317 Certificate III in Accounts Administration qualification. This means RTOs must apply for scope in order to even begin start marketing and enrolling students in this course – making this an amazing, rare opportunity to be an “early mover” and be one of the first RTOs in Australia with this new FNS30317 qualification on scope. This means you cannot rebadge your old FNS30315 Certificate III in Accounts Administration materials and continue training. You must validate, redevelop and remap your training materials to meet the new training package requirements – OR save yourself lots of time and massive expense and simply invest new training resources written to the latest standards off the shelf. Unlike many FNS30317 Certificate III in Accounts Administration training and assessment materials packages which only include facilitation tools, or assessor guides and assessment workbooks, Compliant’s accounting training packages come complete with all Learner Guide and Assessment Tool content in digital format with an unlimited student license. 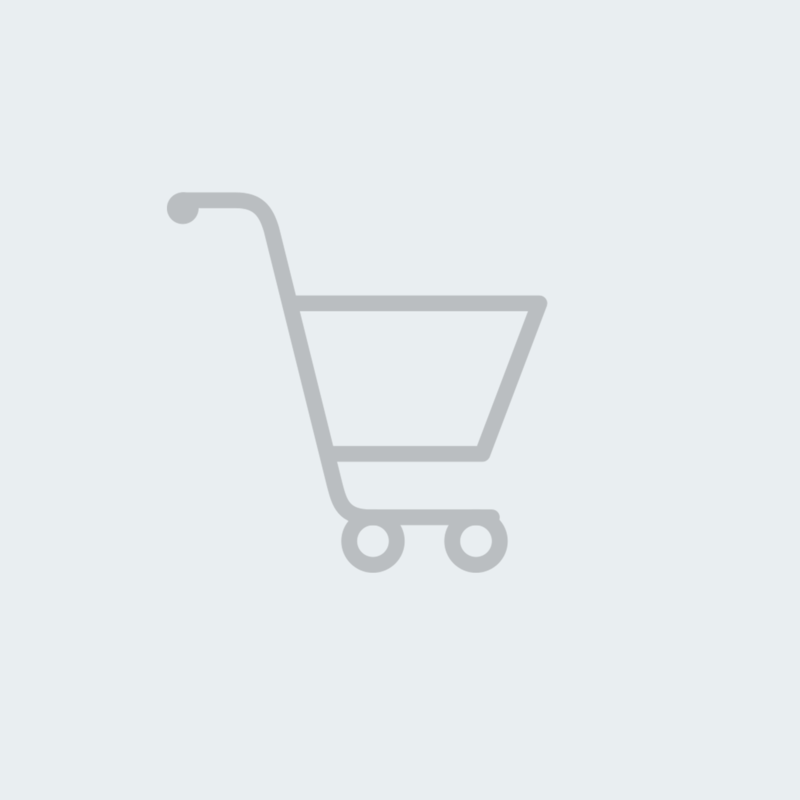 This means you will not be reliant on purchasing hard copy learner guides, assessment workbooks or textbooks for every student – expenses which can easily add up to hundreds of dollars per student! When you do the break-even analysis, our Bookkeeping & Accounting resources will pay for themselves with a less than one class of students, and then you are free to deliver and assess FNS30317 training for years with no ongoing per-student materials fees! The FNS30317 Certificate III in Accounts Administration course assumes your students have access to a workplace in order to access financial records, case studies, workplace policies and procedures, forms, templates and other documents. The reality is many students do not have a job in accounting when they are studying, or may be international students who do not have the right to work in Australia. Compliant has developed simulated online accounting businesses to ensure all your learners have access to workplace scenarios and resources without having to worry about access, privacy or confidentiality problems. Your students will log into the Simulated Workplace and access simulated financial records, business resources, policies, procedures, templates, forms, and other files or materials they require to complete assessment tasks in the assessment workbooks. The Virtual Workplace Resources mean you can offer training and a fully simulated pathway to completion for your students, whether they are currently employed in the financial services industry or not. Massively increase your potential student market! Unlimited Student License for FNS30317 Training! Your FNS30317 Certificate III in Accounts Administration materials are provided on an unlimited student license for the lifetime of the qualification release – meaning no ongoing resource fees or licensing costs for the use of these training materials! Deliver training to as many students as you want in your RTO which will typically save you a fortune on resource costs over the lifetime of this qualification. This is a brand new release of the qualification, meaning right now is the ideal time to invest in training and assessment resources to get maximum longevity and value from the resources. 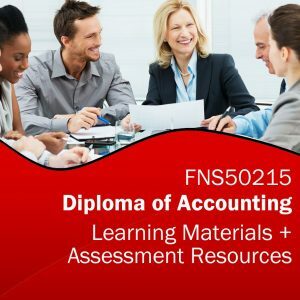 Be first to market with the latest FNS30317 qualification and capitalise on the huge number of students who study accounting and bookkeeping in Australia each year. Unit by unit FNS30317 Certificate III in Accounts Administration RTO training materials! Enquire now and get this premium FNS30317 Certificate III in Accounts Administration learning and assessment resources bundle for your RTO today! 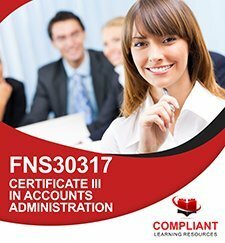 These FNS30317 Certificate III in Accounts Administration training resources developed by Vibrant Courseware are provided on “One-Off” License Fee with Unlimited Students – meaning you pay one upfront fee and there are no ongoing per-student or annual license fees for the lifetime of the unit or qualification release!